At least twelve people have been injured and five houses burnt down following a skirmish between peacekeepers and displaced civilians at the UN protection site in Juba, South Sudan, anonymous sources have said. 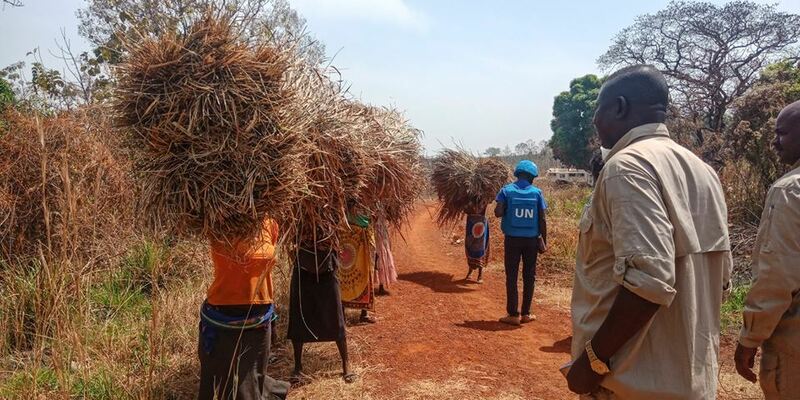 The clashes started on Thursday morning when two Rwandan peacekeepers under UNMISS beat a man during the distribution of food rations in South Sudan’s largest UN protection of civilian site. One source said a group of young IDPs intervened to rescue the man. forcing the two Rwandan peacekeepers to flee. The source said the two reappeared after a few minutes in a company of more soldiers who later shot tear-gas randomly at people. In the ensuing clashes, 12 people were injured, five of them seriously. Another source also said five houses belonging to IDPs were burnt to ash ostensibly by the peacekeepers several of whom were also injured. The UN Mission in South Sudan could not be reached for comment by APA’s reporter despite several attempts.